Fall is here! Although it seems like winter may be making an appearance a bit early this year. It is that time of year where you may have to be more attentive than past seasons to ensure you stay safe on the road. There are multiple factors that will change your driving experience that you should be conscious of while cruising with friends and family. Weather is changing and so are conditions so let’s take a look at some quick tips to help you on the daily drive. We all know that it is peak fall foliage season and that means plenty of extra leaves on the roadway. Leaves on the roadway may not seem like much of a big deal, but once you mix them with water it can cause major problems. Leaves + water + hard braking = bad news. With the combination of all these things it can be unforgivable and comparable to braking on ice. 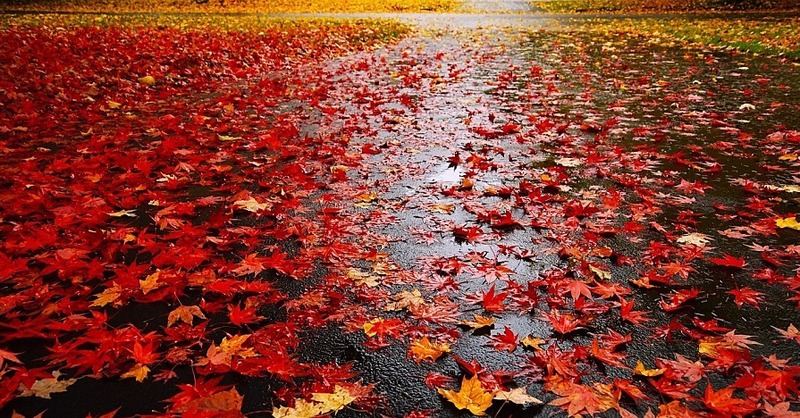 When you see a roadway full of leaves and it may be raining, just remember to brake early and brake easily. Fall is the time of the year that experiences above average rainfall, so you can guarantee you’ll have at least a few rainy days a week. During this period, remain cautious because response times will diminish, so make sure there is adequate braking distance between vehicles. Painted lines pose a major threat to traction in the rain including both accelerating and decelerating. Feather the throttle on takeoff and make sure there is plenty of room to safely pull out. When decelerating make sure to take notice of wet lines because your vehicle may not stop in time if braking too hard. During this part of the year the times closest to sunrise and sunset, sun glare can be a serious factor as far as visibility is concerned. This is because of the winter sun travels a different path in the sky and tends to cast its strength on eastern/western roads. If you wish to avoid the harsh glare at these times, try driving on well-shaded roads or roads where you know the glare will be tolerable and not obstruct your safety. It is not a bad idea to keep a pair of sunglasses in the glovebox for the commute to work. Fall marks the start of the rut or deer breeding season. This is when deer become the most active. That means you will see them much more, especially attempting to cross roadways at the most inconvenient times. Chances are you will see them at times surrounding sunrise and sunset due to the fact that they are nocturnal animals and that’s when they are most active. 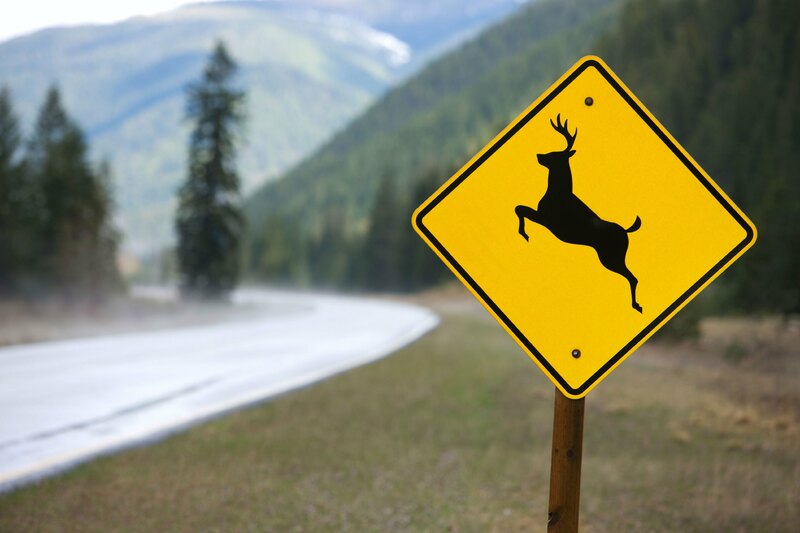 Deer can cause some serious damage so stay alert!